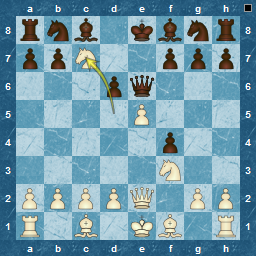 T62 has concluded, so just on the eve of the T63 season, an appropriate time to look again at what Amateurs play in the opening phase in TL chess. Still nailed in first place is the Sicilian Defence : what more can be said, even Anand chose to play it in the current WCC, so one can hardly complain ! 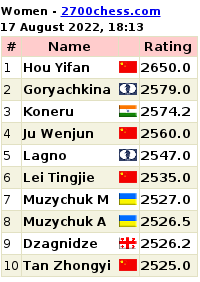 Remaining in the top ten, and more on less in the same proportions, are the usual suspects of the French Defence, Queen's Pawn Systems, and the English Opening, just like last season. Bubbling under the top 10 are the Slav, Pirc, Grunfeld, Scandinavian, Nimzo-Indian, Two Knights and Alekhine, all in double figures for number of games played. Bringing up the rear, with only 1 game each, are the Modern Benoni ( Black lost but was rated 100 point below White ) , Budapest Gambit ( Black won, but was 150 points higher than White) , an Elephant Gambit (Black lost, but was 200 points lower-rated than White ) and of course, the endearing Falkbeer Counter-Gambit ( a draw this time! but Black was 120 points higher-rated ). Does that mean that, when you get down to the the result, the opening doesn't really matter, its just the better player ? Answers on a postcard , please ! Shortest win ? 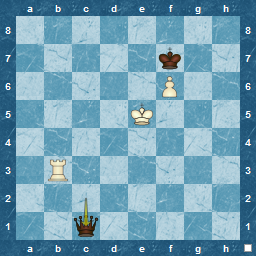 9 moves, White didn't miss the knight fork ! Longest ? 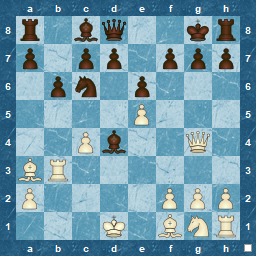 102 moves, where it took 30 moves to mate from the point of R + P vs Q. Could you do any better ? For those interested, all games were re-indexed byECO code using Chess Assistant 11,. See also T56 Summary, T55 Summary, T51 Summary, T50 Summary and T47 Summary, T57-59 Summary and T61 Summary. Thanks for posting these summaries, I find them a useful proxy for understanding what's popular in terms of openings at the club level. @chessAdmin: thanks for the feedback, always nice to know someone is out there! I'm not that obsessive, honestly, but I do find it interesting to see what I am likely to face at my level ( rather than at Carlsen's). It does make you realise that anything is played and playable (although were is the Wing Gambit these days :). Like so many things, if you know what to expect, you can prepare better.